We offer wide range of Automotive forged & machined components which are extensively used in brake, clutch, transmission, engine, steering columns and other parts of automobile application. 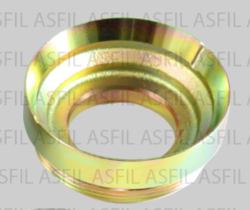 Our forging are highly apprecaited for its high precision and quality.We do manufacturer forging in steel, stainless steel , brass and aluminium materials completely machined direct to assembly. 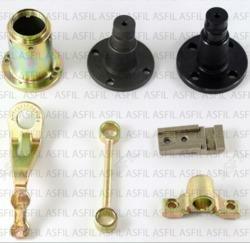 These forging are extensively used in Automobile Steering columns to name some of the forging component are . 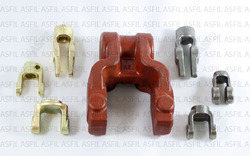 These Forging are extensively used in Automotive Transmission which include parts like yoke forging, Shaft forging, crown gear forging, worm wheel, wheel hubs , shackle , spindles and propeller shaft. Mostly the material used are medium carbon and alloy steel. 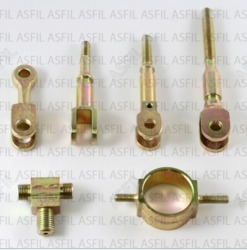 which are then heatreated and fully machined to meet customer specification. 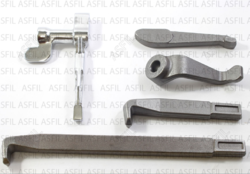 we are much specialized in Shifting fork forging. 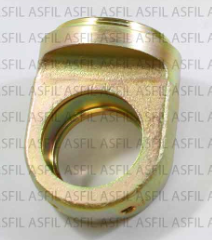 Shaft forging are widely used in viscous fan, timing pulley mounting, turbo charges and other engine mounting applications.